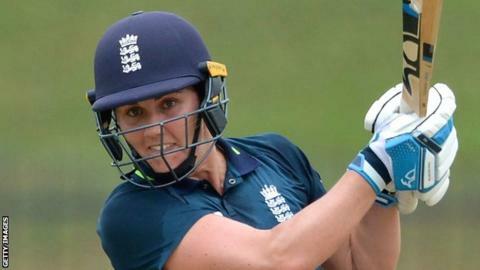 Natalie Sciver just missed out on a century as she helped England thrash hosts Sri Lanka by 154 runs in the first of three one-day internationals. Sciver scored 93 from 73 balls, while Amy Jones (79) and Heather Knight (61) also scored half centuries. Danni Wyatt hit 47 from 26 balls late on to propel England to 331-7. Sri Lanka collapsed to 21-5 and, following a rain delay, they struggled to 159-8 as they lost comfortably under the Duckworth Lewis method. England bowler Katherine Brunt took her three wickets within the first seven overs of the home side's innings and finished with 3-24. The next game will take place on Monday.